One of our long-time clients has a company call Zendoway that we absolutely love supporting. Zendoway is about incorporating the lessons and community of these thousand year old practices into modern daily life through the products and coaching support of Kerry Alison, holistic living, and the six daily principles. Communication, movement, nourishment, daily routine, and challenges. Participation in these activities, even to a small degree on a daily basis, will support you in being more aware, helpful, and present. 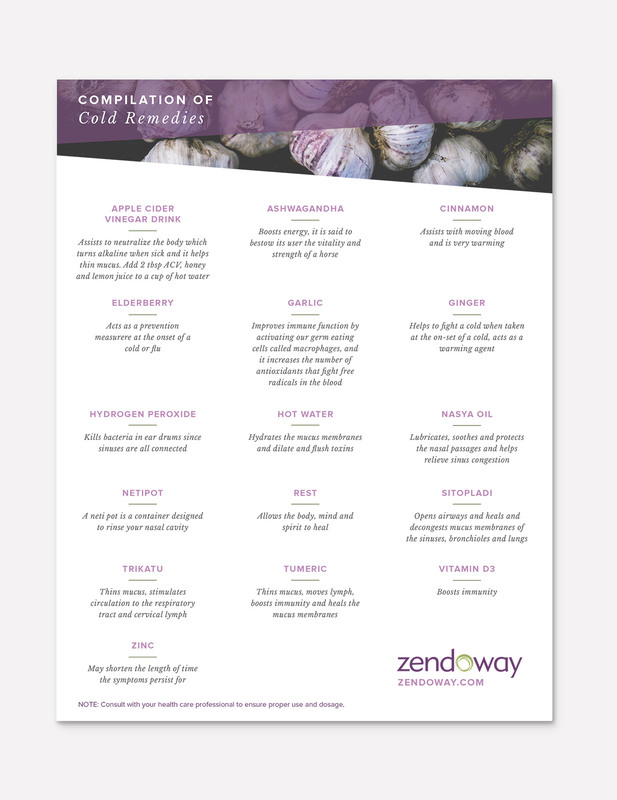 One of the designs we’ve helped her with is this helpful compilation of natural cold remedies. The way typography and colors work together in this design are really beautiful and it was really a joy to create. I also helped her with coming up with the packaging idea for her cubes set. 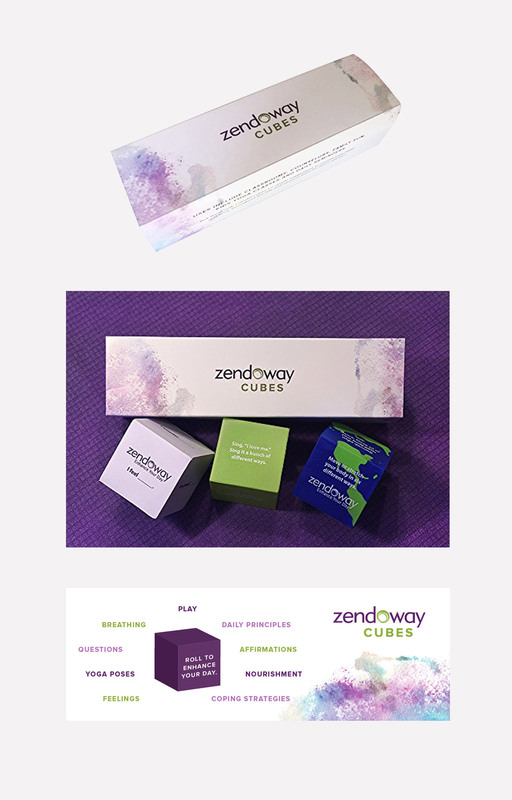 I thought it would work well to package them in a sleeve so that we could stay on brand and include more of the Zendoway messaging for her products. 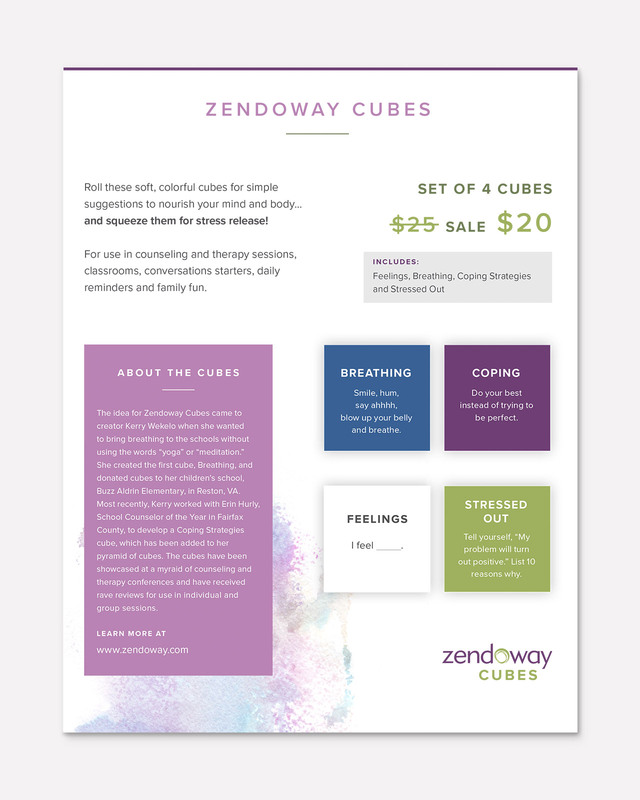 This sell sheet is another example of how the Zendoway brand translated into a printed flyer. By utilizing some of the same colors, fonts and patterns creates brand unity and instant recognizability.